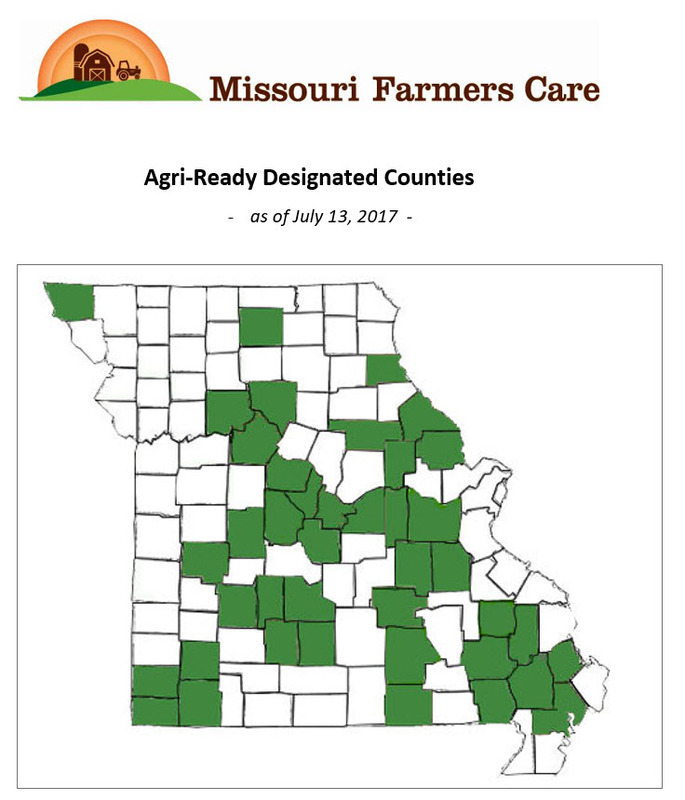 Pike County has applied for and attained Agri-Ready County Designation by Missouri Farmers Care (MFC). 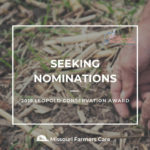 This designation identifies counties that have created an environment conducive to agricultural opportunities and are willing to partner in actively supporting Missouri agriculture. MFC will work with county leaders, farmers and agribusinesses to advance local agricultural enterprises and workforce readiness for agricultural careers. The collaboration includes promotion of the Missouri Department of Agriculture’s voluntary Agricultural Stewardship Assurance Program recognizing stewardship at the farm level. To advance agriculture literacy at elementary ages, MFC will partner with local 4-H and FFA leaders to implement Agriculture Education on the Move in Pike County third grade classrooms. 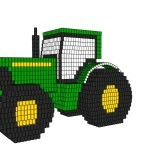 Pike County’s farmers and ranchers sold over $87 million in market value of agricultural products in 2012, according to the United States Department of Agriculture’s (USDA) most recent agricultural census. Over 1,000 farm families in Pike County work 361,666 acres making it a top ten producer of corn for grain and the second leading county in the state for quail inventory. 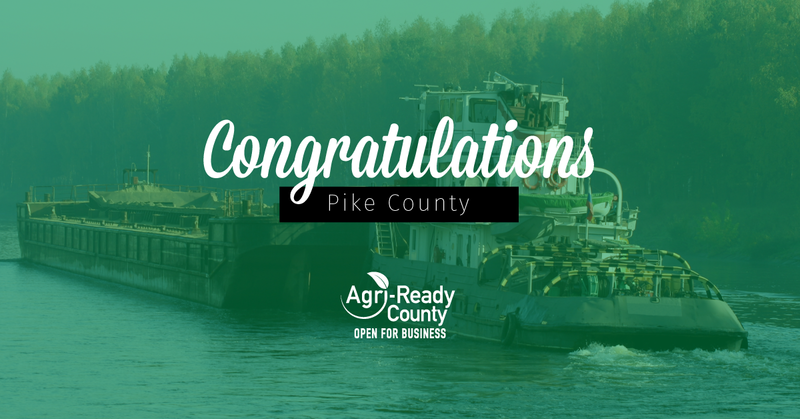 “The commissioners of Pike County fully recognize that agriculture and the supporting industries of agriculture are the economic mainstays of this county, and are pleased and excited to be designated as an Agri-Ready County,” said Chris Gamm, Pike County Presiding Commissioner. 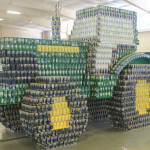 MFC’s Agri-Ready County designation launched in 2015 as a voluntary connection between Missouri counties and MFC – a joint effort by the agriculture community to stand together for the men and women who provide the food and jobs on which our communities depend. According to the USDA, Missouri agriculture added $5.2 billion in net value to the state’s economy in 2014. This Agri-Ready designation recognizes and builds on the impact of family farmers and agri-businesses as key contributors to our economy. 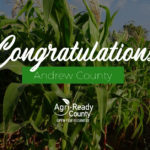 Pike County joins Audrain, Carroll, Cooper, Chariton, Dallas, Cole and Webster counties in achieving Agri-Ready designation. 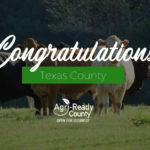 Counties wishing to apply for the Agri-Ready designation must meet program requirements, including no ordinances regulating agriculture more stringent than state law and support of agricultural stewardship, growth and opportunities. After application is received from the county commission, the MFC Agri-Ready Review Committee examines any local ordinances, zoning regulations and statements of support prior to awarding Agri-Ready designation.